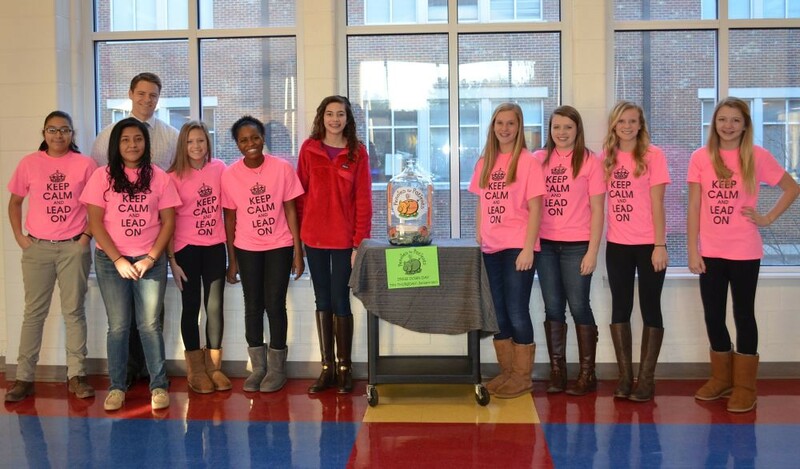 Charitable Peachtree Charter Middle School students in Dunwoody raise funds through student government. Pictured are SGA advisor Mr. Ted Ward and SGA members (from the left) Aylin Solis, Ana Nolasco, Maria Komissovskaya, Xanay Ogbuen, Sarah Briggs, Ashton Harbin, Lauren Callihan, Olivia Harbin, and Meredith Frederick. The Peachtree Charter Middle School Student Government Association has raised a total of over $70,000 for charities during the seven years of its Dress Down Day program. Through the SGA fundraiser, PCMS students donate $3 to a specific charity to participate in Dress Down Day once a month. As seen in the picture above, the SGA collected funds this month for the Leukemia and Lymphoma Society, raising approximately $1300 for that group. Last semester, the students donated a total of $6100 to organizations such as the Community Assistance Center, the American Cancer Society, and the Children's Restorative Network. The Children's Restorative Network sent PCMS a thank you for its $1500 donation, letting the students know how much the funds mean to them: "Your generosity allows us to provide the important services and programs for more than 4,000 homeless children annually who reside in nearly 134 group homes and shelters covering 20 counties throughout the metro - Atlanta area." The students are looking forward to supporting the Special Olympics on the February 13th Dress Down Day. 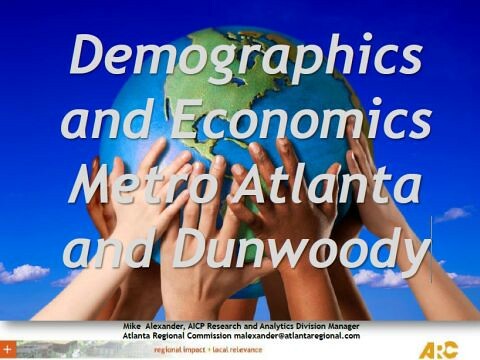 Mike Alexander, AICP Research and Analytics Division Manager of the Atlanta Regional Commission gave the Dunwoody City Council an hour long presentation highlighted above focusing on the Demographics and Economics of Dunwoody and the Atlanta Metro area. He also was proud of the GMA dashboard which highlights many aspects of City Demographics as shown in the link and photos below. 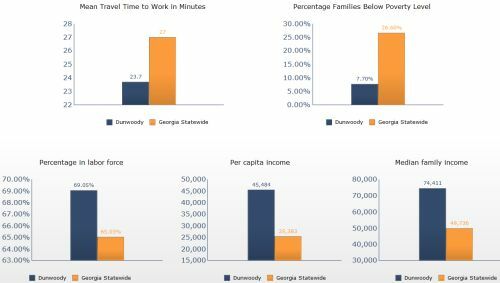 In case you are not overwhelmed with Dunwoody Demographic data the background info used in some of the main presentaion is also available here. Agenda All documents are in this one link and I expect this to be one of the shortest meetings of the year..
Proclamation - Dunwoody Garden Club. Presentation of ARC Gold Green Communities Certification. 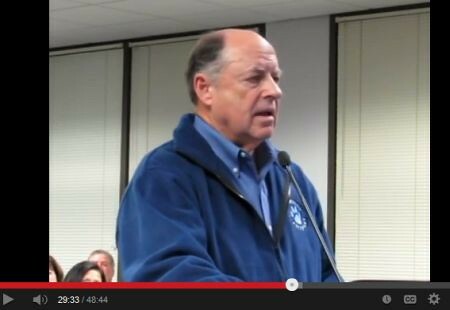 Proclamation for 2013 Sustainable Hero: Alan Mothner. Recognition of Lieutenant David Barnes for Attaining his Bachelor of Science Degree in Criminal Justice from Troy University. Recognition of Sergeant Jason Dove for Attaining his Associate of Science Degree in Criminal Justice from Penn Foster College. Approval of Name and Charter Amendments of Sustainability Commission. Approval of Amendments to No Net Loss of Trees Policy. Approval of Resolution to Authorize Merit Increase for City Clerk. Help Dunwoody girl become the next Kia All Star Sideline reporter! 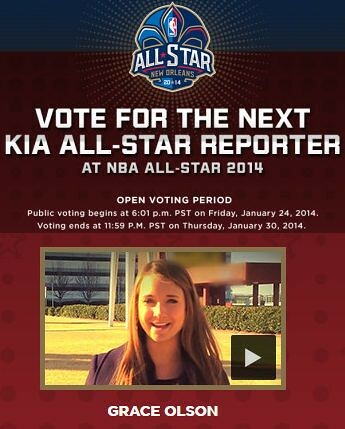 Dunwoody High School graduate and lifelong Dunwoody resident, Grace Olson, is competing as a finalist to be the next Kia NBA All-Star Reporter at the 2014 NBA All-Star game! If selected from the four finalists via the public online vote, she will travel to New Orleans mid-February to interview some of the top names in the game. You can vote daily but online voting closes this Thursday night at KiaAllStar.com. Please stand behind this Dunwoody girl and help her fulfill a dream! This meeting will be held at the Crowne Plaza Ravinia, Camilla Room, begins at 8:15 a.m. It is open to the public and the press; please attend if interested. Note: this meeting is scheduled for 8 hours in length and I do not plan to be live streaming or shooting video. ROLL CALL at 8:15 a.m.
City Council will vote on the order in which they want to discuss. 1 yr optional extension ? Raise rates, float a bond or wait it out? 911 issue coming up fast as renewal deadline approaching in about month. 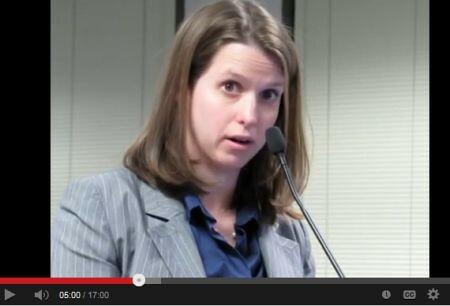 Can we do own Fire Department, stay with DeKalb or partner with others? Center Lane of Mount Vernon - should it be removed from plan? Saturday, February 1st at 7:30 p.m. Occasionally we are called to join together as a community and help those in need. Now is one of those times. We are so blessed to be a part of this amazing faith community – “our village.” Many of us have the pleasure of knowing the Williams family and sharing some small part of our life’s journey with them. Greg’s disease has no cure, but together we can help lighten their tremendous burden as they travel down the road ahead. In the Spring of 2013 Greg was working out at the gym and felt a muscle twitch in his leg that did not go away. After numerous doctor visits he was told he has Lyme Disease. As the disease progressed at a rapid pace other symptoms indicated that it may be something else. In September Greg received news that confirmed his worst nightmare- that he has ALS. ALS, commonly known as Lou Gehrig’s disease, is a neuro-degenerative disease that will rob Greg of his ability to take care of himself. Since September Greg has been in and out of multiple doctor’s appointments as he is being treated for both Lyme Disease and ALS. Recently, Greg participated in an ALS clinical trial at Emory to receive stem cells. In November Greg could still drive, walked with a cane, and needed minimal daily help. But today is another story. TODAY, Greg cannot drive. He cannot walk. He is having difficulty with his speech and even difficulty eating. All of this means his needs are great: He’s being fitted with an electrical wheelchair; He needs a handicap accessible van; He needs a hospital bed with a lift; He needs some type of home modification, which would allow access to a shower in his basement. And as this disease progresses so will his needs. 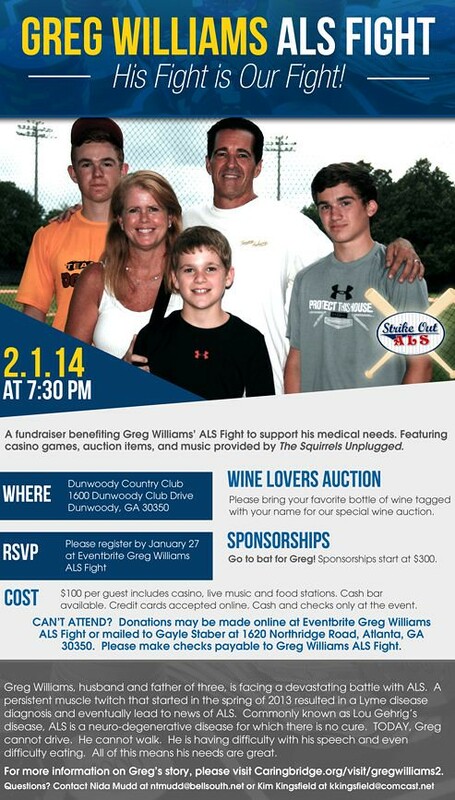 The William’s family needs our help now. Greg, Vicki and their children Coleman (10th grade at Marist), Michael (8th grade at Marist) and Andrew (5th grade at St. Jude) not only need this community to come together in prayer but they also need your help financially in order to alleviate the very costly, very necessary, and not always covered by insurance, costs that come with having ALS. They are used to helping others, coaching others, donating to others and, as you can imagine, quite uncomfortable that they need to lean on others to help get them through. But they have no choice. Various options for Dunwoody Fire Protection - start our own, partner with neighbors or stay with DeKalb? 13 pages of various options and costs. 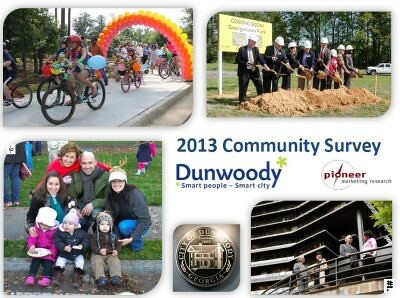 2013 City of Dunwoody Community Survey released. View the 38 page PowerPoint overview. Question I get a lot is people ask me about Tilly Mill & North Peachtree; it is shown above as being scheduled for 2015 completion. It's not easy "Bein' Green" but City of Dunwoody reaches Gold Certification by ARC for environmental friendly policies. In 2013, the City of Dunwoody achieved Gold level certification under the Atlanta Regional Commission’s Green Communities Program, a level higher than its Silver certification in 2011. The following measures have been implemented by the City of Dunwoody to reduce its environmental impact and promote sustainability. These measures received points for certification. »» Requires new city-owned buildings greater than 5,000 square feet or with total project costs greater than $1 million to achieve LEED certification, with a goal of achieving silver certification. »» Requires new city-owned buildings less than 5,000 square feet or less than $1 million in total project costs to attempt LEED certification, but at a minimum achieve either EnergyStar or Earth Craft Light Commercial certification. »» Requires renovations to achieve LEED for Existing Buildings certification whenever possible, but at a minimum achieve Energy Star or EarthCraft Light Commercial certification. »» Encourages residential and commercial buildings to be built green by offering expedited permitting reviews for projects that achieve LEED, EnergyStar or EarthCraft certification. »» Energy Star purchasing policy to purchase energy-efficient equipment and appliances. »» Installed LED bulbs in more than 60 percent of existing traffic signals and will replace the remaining lights with LED bulbs over the next two years. »» Adopted a lights out/power down policy for all city employees and facilities to ensure all nonemergency building lighting and electronic equipment are turned off when not in use and at the end of the work day. »» Replaced all light bulbs in desk lamps used in the Community Development department with LED bulbs. Additionally, exit light signs are being converted to LED as buildings undergo energy audits. »» Active inspection program for residential and commercial compliance with the Georgia energy codes. »» Night sky ordinance to limit the use of excess lighting that unnecessarily wastes energy and degrades the nighttime visual environment. incorporate solar energy elements, including photovoltaic or solar water heaters, into their projects. »» Requires all new city-owned buildings to install high-efficiency plumbing fixtures such as WaterSense® certified toilets, urinals and faucets. Management Plan, Wastewater Management Plan and Watershed Management Plan. »» Offers expedited plan reviews for projects that achieve WaterSense® for new homes certification. »» No net loss of trees policy for all city owned property. 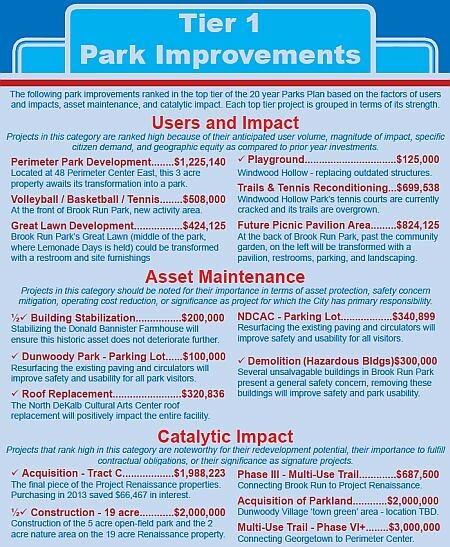 »» Adopted the Parks and Open Space Master Plan in March 2011. »» Adopted landscaping maintenance specifications for integrated pest management and the use of drought-tolerant and native landscape plantings. »» Designated as a Tree City USA Community since 2012. To maintain this designation, the City of Dunwoody has a Tree Commission, a community tree ordinance, a community forestry program with an annual budget of at least $2 per capita and an annual Arbor Day observance and proclamation. »» Encourages 50 percent shade coverage of parking lots through landscape development standards that require a minimum of one canopy tree for every eight parking spaces and a minimum of 200 square feet of contiguous soil space per overstory tree. »» Completed a Tree Inventory and Assessment as part of its 2009 Comprehensive Land Use Planning process, which will allow the city to ensure the proper management and long-term survivability of its tree canopy. »» Donated space at Brook Run Park for the Dunwoody Community Garden. Residents can lease one of 60 plots for $50 a year. Volunteers maintain 20 percent of the beds and donate the cultivated produce to charity. »» Provides the publicity assistance for the Dunwoody Green Market that is held Wednesday mornings 8 am – noon from May through November. »» Green fleet policy that gives a preference for purchasing alternative fuel and hybrid vehicles for nonemergency fleet vehicles and lower emission emergency fleet vehicles. »» Adopted a no idling policy for city vehicles to prevent non-emergency city vehicles from idling longer than 30 seconds. Diesel vehicles must limit their warm-up period to three to five minutes. »» Adopted a complete streets policy to ensure that streets will be safe for all users of the public right-ofway, including motorists, pedestrians, cyclists, transit riders, freight providers, people with disabilities, emergency responders and adjacent land users. »» Worked with the Perimeter Community Improvement Districts to fund and implement the Perimeter Traffic Operations Program (PTOP), which includes the optimization and maintenance of 99 traffic signals throughout the PCIDs. Average vehicular delay has been reduced on the corridors by 29 percent. Motorists using the corridors during the three peak periods save 233,680 hours of travel time and 160,290 gallons of gasoline each year. The total annual savings to motorists due to improved signal timing plans is $3,926,070 or, expressed in another way, the new timing plans pay for themselves approximately every 3.9 workdays. »» All five elementary schools in the city actively participate in the city’s Safe Routes to School program. The city conducted walking audits at half of the schools, identified long-term and short-term infrastructure needs based on these audits and completed several of these projects to improve the walking and biking environment around the schools. 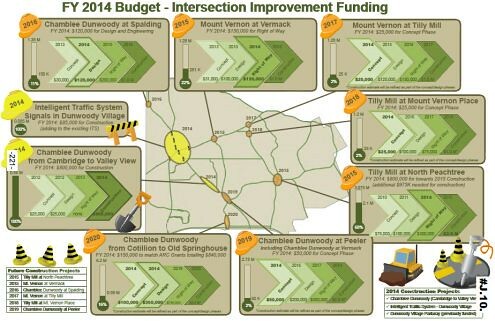 »» Adopted a Master Transportation Plan that includes bicycle and pedestrian friendly policies. »» Shared parking is encouraged in the Dunwoody Village Overlay District to meet parking requirements. »» Adopted an environmentally preferable purchasing policy to purchase environmentally friendly goods. Additionally, the city plans to evaluate the environmental performance of vendors in providing goods and services by assessing vendor’s raw materials acquisition, production, manufacturing, packaging, distribution, reuse, operation, maintenance, disposal of products or service delivery. The city replaces disposable products with products that are re-usable, recyclable or compostable, wherever practicable. »» Offers recycling of paper, cardboard, plastics, metal and glass for city staff and visitors. Desk side bins are provided for employees, and centralized drop offs are located in break rooms, the mail room and the City Council Chambers. Continued education through signs and emails keeps staff informed of proper disposal and accepted materials. »» Copier toner, ink cartridges and rechargeable batteries are collected at City Hall for recycling through a private vendor. »» Purchases paper with at least 30 percent recycled content for copy, computer and fax paper. »» Single stream curbside recycling is available to all city residents and includes the recycling of paper, cardboard, metal containers, polystyrene cups, all plastics and all glass. »» Recycling is available to commercial facilities with five day a week pick up and includes recycling of paper, cardboard, metal containers, plastics and glass. »» Offers drop-off events for residents to recycle electronics, cell phones and batteries. »» Hosts an annual Household Hazardous Waste collection event for citizens, accepting a comprehensive list of household hazardous waste, including adhesives, lawn care products, automotive products, paints and cleaners. »» Residential curbside collection of yard debris is available for all residents. The yard debris is processed at the DeKalb County Yard Waste Composting Facility into high-grade mulch, compost and soil products and is then made available to DeKalb County residents free of charge. »» Acquired the long-vacant Brook Run Hospital facilities and renovated the greyfield property into Brook Run Park. The hospital’s greenhouse and maintenance barn were rehabilitated by the city and are now used for educational programing and community gardening. »» Educates city staff on environmental sustainability efforts through bi-monthly staff meetings, the city intranet, e-mail blasts, lunch-n-learns and a variety of educational posters, fliers and announcements. 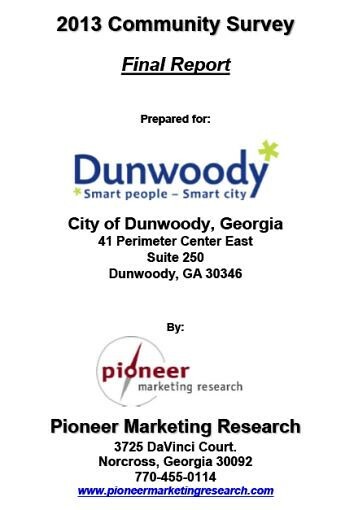 »» The City of Dunwoody Sustainability Commission has developed a public awareness and education campaign on the city’s sustainability efforts. The Commission developed a logo and uses it in outreach efforts for informing citizens such as brochures, business cards, stickers, t-shirts and a social networking website. More information on the Commission is available at http://www.dunwoodyga.gov/Departments/community_development/Sustainability-Commission.aspx. »» The city’s “Punch Up the Green” promotion encouraged citizens to engage in sustainable actions by offering discounts at local businesses for residents who completed six “Green Actions.” The “Green Actions” included walking instead of driving, changing an incandescent light bulb to a CFL, riding a bicycle instead of driving, recycling, turning off the car instead of idling and choosing a sustainable action of their own. »» Through its Green Building Policy, the city encourages the use of pervious paving materials by offering expedited plan review. Pervious paving materials, including gravel, crushed stone, open paving blocks, porous asphalt or concrete pavement or pervious paving blocks are encouraged for use in driveways, parking areas, walkways and patios to minimize runoff from these areas and increase water infiltration. application. The plan must demonstrate where recycling receptacles will be located and the vendors who will collect recyclables. An estimated 450 gallons of recyclables were diverted from the landfill at the 2011 Dunwoody Music Festival as a result of this permit requirement. 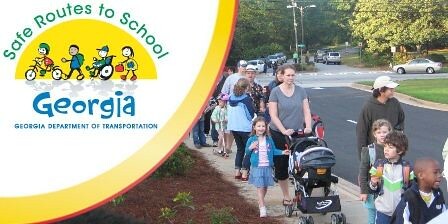 Dunwoody Safe Routes to Schools sidewalk grant to be installed by State around Kingsley Elementary in coming weeks. Addition of ADA Ramps, enhancement of existing crosswalks, and pedestrian lighting in front of the school. The $330,000 in improvements will be 100 percent federally funded through the Safe Routes to School program. The design and construction is being managed by the Georgia Department of Transportation. In case you are not aware, I am personally very proud of this grant application that the city submitted just 8 days after incorporation and then won what was supposed to be a $460,000 grant. Though the finding amount was reduced, as was the scale of the project, this was a huge item for public safety around one of our schools. Work continues on several other critical sidewalk projects as part of the City’s sidewalk improvement plan, created to provide an objective process to prioritize the City’s sidewalk projects. The city will soon receive bids from contractors to complete the sidewalks planned for Roberts Drive, Hensley Drive, Mount Vernon Way, Peachford Road, and Dunwoody Park. 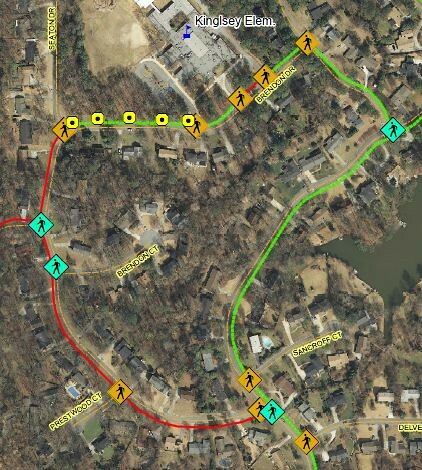 In the later part of 2013, the City substantially completed new sidewalk construction on Womack Road between Chamblee Dunwoody Road and Cambridge Drive, and on the northern end of Happy Hollow Road to complete the sidewalk for the full length of that road. Work on the remaining sidewalk on Valley View Road, which will connect existing sidewalk to Chamblee-Dunwoody Road, is expected to be completed in February, weather permitting. The city has identified more than 21 miles of future sidewalk improvements and 87 future ADA-compliant sidewalk ramps. Since 2009, including this year’s investments, the City has invested nearly $2,000,000 on completing roughly 5.4 miles of new sidewalk infrastructure, making Dunwoody a safer, healthier, and more enjoyable community for all. *Monday is Bag Day. All the books, games, puzzles, DVDs, and magazines that you can put inside a brown paper grocery bag are just $6.00 a bag. CDs are not included. Dunwoody United Methodist Church begins a new program called "Package of Hope." Families in need will have a new source of support when Dunwoody United Methodist Church begins a new program called "Package of Hope." It will start on Saturday, January 25, and run from 9 to 11 a.m. on at the church, located at 1548 Mt. Vernon Road. Staff members and volunteers will give out food boxes as part of a new, monthly distribution to help community members in need. The distribution is open to anyone in an economically difficult situation and unable to provide adequate food for his or her family. Packages of Hope include non-perishable food items that will feed a family of four for several days. Registration will begin at 9:00 a.m. with coffee and pastries. Dunwoody UMC running the program through a partnership with Action Ministries. The goal of the church is to make families feel welcome as they work through tough financial times to get back on their feet. Other Charities that serve the Dunwoody area. Atlanta Community Food Bank Locations nearby shown below. Suthers Center for Christian Outreach, Inc.
Time: 7 p.m. to 10:30 p.m.
Tickets: Tickets are available through our online purchasing page. The price per ticket is $100 and includes two premium drink tickets. Contact Contact Lynn Leslie for more information at 404.785.7337. Be a part of our annual Taste of Dunwoody and enjoy an evening of food and fun benefiting Children’s Healthcare of Atlanta. Featuring delicious fare from more than 25 Atlanta restaurants, a silent auction, a cash bar and live music performed by Yacht Rock Revue, the Taste of Dunwoody is always a sell-out event! With “spot on renditions” Yacht Rock Revue is possibly the best tribute to 70s light rock and always promise a good time. We look forward to the dance moves that ensue at the 11th annual Taste of Dunwoody – all to benefit Children’s Healthcare of Atlanta. 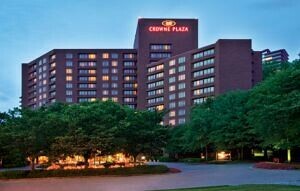 Special thank you to the Crowne Plaza Ravinia for hosting the 2014 Taste of Dunwoody. To reserve your special $99 room rate for the night of the event, please contact them directly at 770.395.7700. Sponsorship opportunities are available for purchase through the online purchasing page. 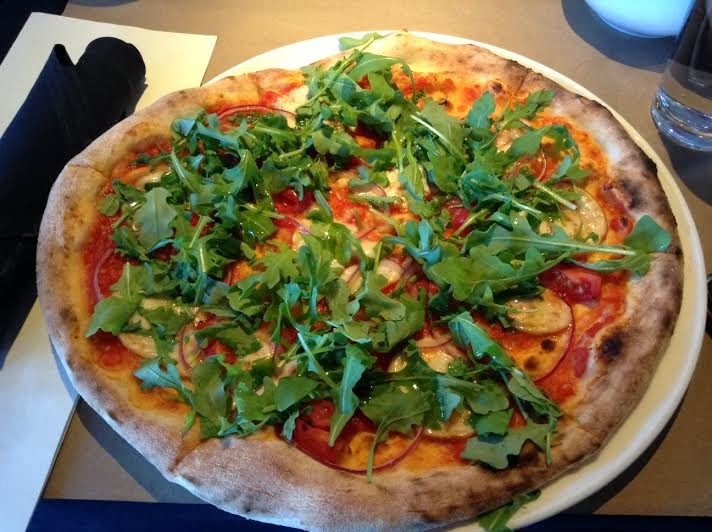 Most recently the Novo space was Peter's of Dunwoody, but it was originally a Pizza Hut. In between, another local restaurant, High Cotton, operated in the space and was for a time, quite popular. Dunwoody Hall is anchored by Publix (originally A&P) and also has an inline Moe's Southwest Grill as well. The Marcus Jewish Community Center of Atlanta (MJCCA) is pleased to announce that its Online Day Camp Registration is now open for returning campers, and opens Sunday, January 19 at 10:00 am for new campers. MJCCA Summer Day Camps offer more than 100 different options for children ages 5 – 14, including: Traditional Camps, Specialty Camps, Teen Camps, Performing Arts Camps, and Sports Camps. MJCCA Day Camp starts the week of May 26, 2014 and the fun continues through August 8, 2014. For information, visit www.atlantajcc.org/camps. Join us as we travel to five critically acclaimed local attractions for backstage tours and a peek into the inner workings of theatrical production. Destinations may include: Georgia Aquarium, Medieval Times, Center for Puppetry Arts, the Alliance Theater and the Fabulous Fox Theater. Campers will get to meet actors, directors, and designers who work on some of the most elaborate productions in Atlanta. This camp offers a variety like no other! We’ve taken the best from both the real and virtual sports worlds. Working alternately between the console-based sports and real sports, this fun-filled week will include practice time, games, team play, fun competition, and will conclude with an exciting EA Sports Day! Let the games begin! In our off-the-wall Color War Camp, every day is a new crazy competition. There will be something for everyone this week, as campers participate in tons of creative activities including art, swimming, sports, cooking, and more! Get ready to cheer on your team! Get rolling in our “camper-powered” Go-Kart Derby! Campers will work in teams to design, build, and decorate their very own wooden push-powered go-karts. Teams will learn about racing strategies, safety on the track, and how best to control their karts to cross the finish line. Join us for our new Superhero Camp, where campers will spend the week engulfed in superhero excitement! Activities include saving fellow superheroes from evil plots, creating gadgets and costumes, inventing a unique superhero character, a visit from a superhero, and much more! Explore the world of wordsmiths in our new Creative Writing Camp. Learn tons of techniques, tips, and tricks to help you tell a captivating story, edit and review your work and your friends’ writing, and finally submit a finished product to be published at the end of the week! The Atlanta Hawks Cheerleaders are excited to bring the first ever Atlanta Hawks Dance Camp to the MJCCA! Led by seasoned Hawks’ cheerleaders, campers will participate in exciting activities like learning dance techniques and high energy routines. Campers are invited to sample the best of both day and overnight camp. Campers will spend 3 nights at Camp Barney Medintz, the summer overnight camp of the MJCCA, located in the North Georgia Mountains, and will participate in an exciting mix of specialized programming). Participants in our Leaders in Training program will take the beginning steps to being the ultimate group or activity counselor. Rising 9th graders will work with campers, travel on field trips as a group, and participate in leadership and team building programs. The Staff in Training program provides rising 10th graders the opportunity to work directly with children. The program will also offer engaging training sessions that will include camp program planning and best practices in working with children. 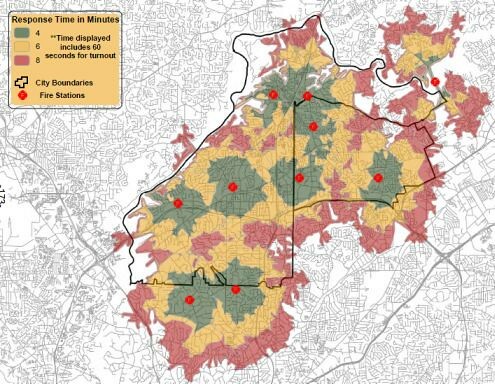 Ø FREE BUS TRANSPORTATION: There are 23 convenient stops at locations around metro-Atlanta, including a new stop this year in the Emory/Decatur area. Ø New 6-month payment plan. Ø Multiple week discount: Attend 6 or more weeks of camp (per camper) and receive $25 off per week. The MJCCA is committed to strengthening the quality of life throughout metro-Atlanta, and is recognized as one of the most highly regarded Jewish community centers nationally. From preschoolers and adolescents, to young adults and seniors, the MJCCA offers unique and engaging programs, events, and services for every member of the community. Please visit us on the web at www.atlantajcc.org. Media inquiries: contact Lora Sommer at 678.812.4078, lora.sommer@atlantajcc.org. 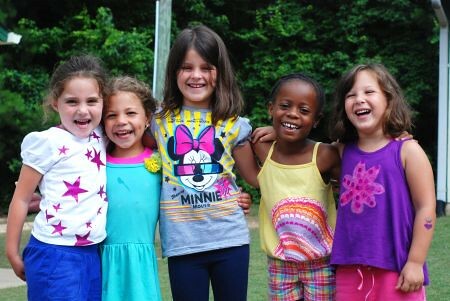 For information about the various day camp offerings, call 678.812.4004, or visit www.atlantajcc.org/camps. 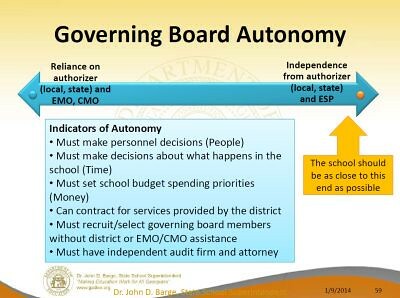 Above is the advance Powerpoint presentation used to announce the meeting to the DeKalb BOE which to me does not hint at how it would affect Dunwoody Charter Schools. DeKalb County and State Dept. 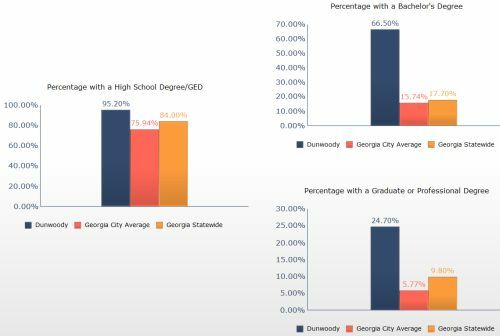 of Education are making big changes to the structure of charter schools in the DeKalb County School District. Few details have been published yet, but public information sessions are happening throughout the month of January. This will have an important impact on the charter status for Chesnut ES, Kingsley ES, and Peachtree MS. Please plan to attend the session at Dunwoody High School if you can. Dunwoody, have you registered for Smart 911?